As per the order, the personnel department has been asked to furnish a list of all officers who have crossed 50 years of age till March 31, 2017. LUCKNOW: It is time for non-performing babus in Uttar Pradesh who are aged 50 and above to wind up and go, said the Yogi Adityanath government’s latest order. The intent is to clean up the state bureaucracy by ridding it of non-performers, tainted officers and staff after reviewing their track record and sending them off on compulsory retirement on a three-month notice. Taking a cue from the Centre, the order asking the babus to ‘perform or perish’ and signed by newly-appointed chief secretary Rajiv Kumar created a flutter in UP’s bureaucratic circle. As per the order, the personnel department has been asked to furnish a list of all officers who have crossed 50 years of age till March 31, 2017. The list has to be ready by July 31, 2017. CM Adityanath has been harping on a clean, disciplined and dedicated work culture since he assumed charge. The first step was setting the attendance in order by getting biometric machines installed and putting registers to entry and exit time as well as working hours of the officers. 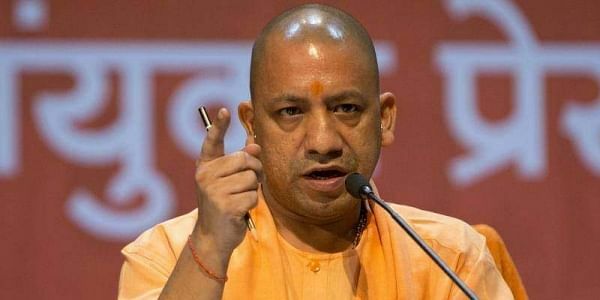 CM Adityanath, in a bid to make the administration more responsive and sensitive to people’s issues holds frequent video conferences with district magistrates asking them why the people need to petition him to get their petty problems resolved. After seeking the details of officers’ movable and immovable assets, the order over compulsory retirement is seen as a bold but risky move by political observers. However, the common perception is that such stringent moves are being taken under the Centre’s pressure to rush the poll promises made in BJP’s ‘Sankalp Patra’ to bring about a palpable change on the ground till the 2019 Lok Sabha elections. According to highly-placed sources, in pursuance of the CM’s directives, chief secretary Rajive Kumar refreshed a 1985 state government order which empowered the state to sack any officer on a notice without even mentioning a reason. The said order was issued late on Thursday night to all the additional chief secretaries, principal secretaries and department heads to submit this report by July 31. The department of personnel and training uploaded the government order (GO) on its official website forcing officers and employees of the four lakh-strong work force falling in the ‘50 plus’ bracket to pull up their socks. As per the order, the chief secretary would set up a screening committee which will review and analyse the performance of all employees over 50-years of age as of March 31, 2017 and decide. “This is a system to fine tune government functioning and identify inefficient and non-performing staff,” said cabinet minister, health and government spokesman Siddharth Nath Singh. The GO, however, clarifies that the exercise of compulsory retirement has to be undertaken on a large scale and all department heads are expected to complete it within the stipulated period. "This system of appraisal and evaluation of work is already going on at Centre and in many other states," stated Siddharth Nath Singh. Clause 56 of the order says: "The competent authority can send an officer on compulsory retirement on a three-month notice without mentioning the reason." book but was never implemented in UP. The GO comes in close heels of the Centre's policy to review officers in the mentioned age limit and send them on compulsory retirement in public interest. It is a drill the Modi government has been conducting for quite some time. Taking action, 30 Group A officers and over 95 from Group B have already been released in the last couple few months and another list is in the pipeline. Meanwhile, Union leaders of the state government have preferred to wait and watch but stand firm on fighting it in case any injustice is meted out to senior employees.